Three Platte County bank buildings are going to be a little greener. Last Friday, Bank of Weston’s Weston branch installed 80 solar panels on its roof, supplementing its utilities in an environmentally-friendly manner. This was the first of three scheduled installations at Platte County Bank of Weston locations. 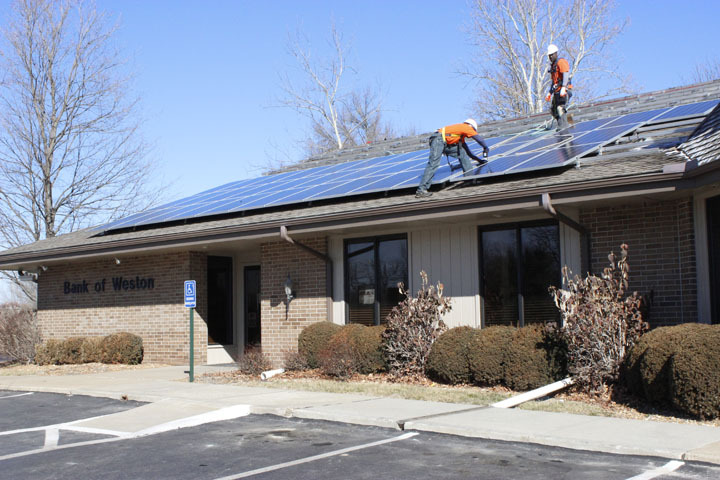 The Platte City and KCI branches will also be outfitted with panels soon, for a total of 230 solar panels installed.